Left to Right: Craft, Trading Post, Large Skunk Skins, and Skunk Skin with Feet. 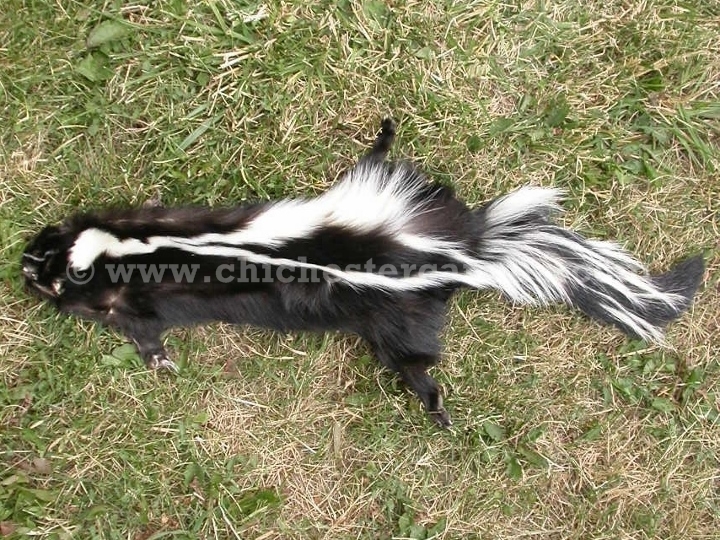 The trading post grade skunk skins are a medium size skin with a good body. They have a decent face and tail. There is a yellowish tint to the skins. We have cased and uncased skins. A cased skin measured approximately 16" wide, 52" long body, with a 28" long tail, and weighed 0.152 pounds. An uncased (flat) skin measured approximately 26" wide, 49" long body, with a 33" long tail, and weighed 0.098 pounds. Keep in mind these are just two random skins we measured and sizes are approximate. 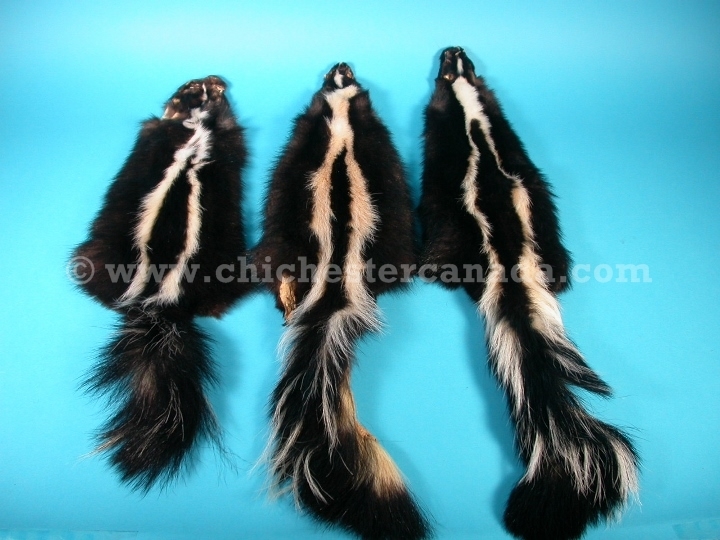 The craft grade skunk skins are damaged or all black (no stripe). They may or may not have heads and tails. They are ideal for making sides of hats. 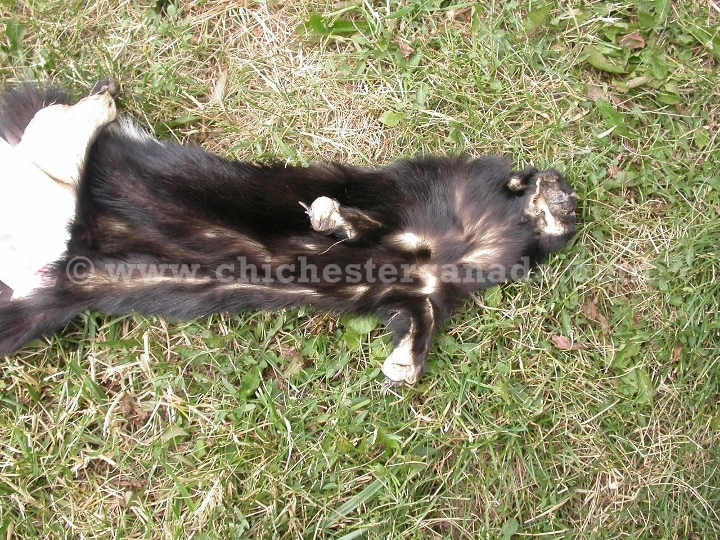 The skunk skin with feet are good quality skins with feet attached. There is limited availability. Please note these are not appropriate for taxidermy as they have no lower face. 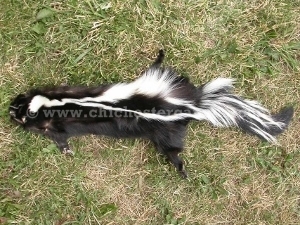 Striped skunks are not endangered and are not subject to CITES controls.